Always be yourself! Except, if you can be a unicorn, then be a unicorn! 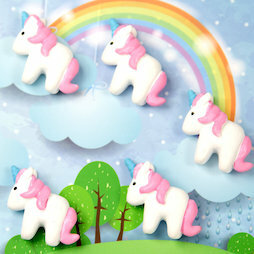 These great fridge magnets spread endless joy, ease, freedom and love. In addition, thanks to the embedded strong neodymium magnet, it can hold several A4 sheets on smooth surfaces without a problem.